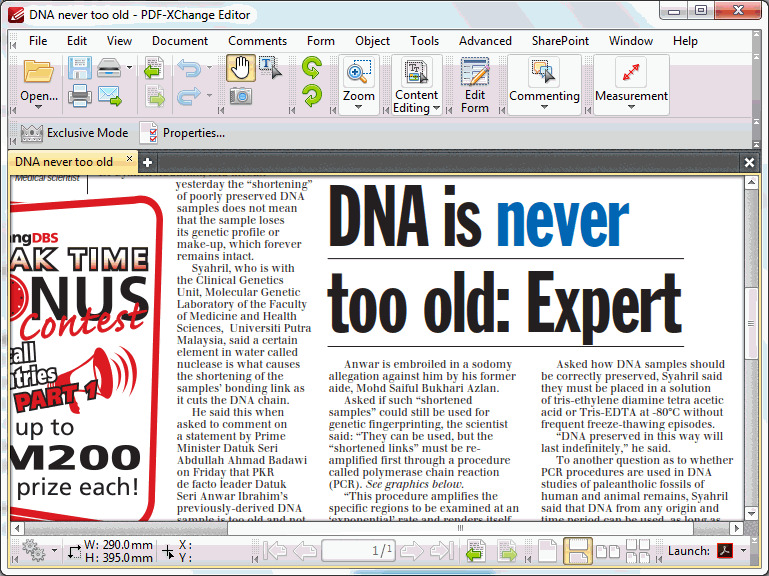 PDF-XChange Editor shortcuts will allow you to control editing, selection and navigation features faster. While general shortcuts like Ctrl + C works with PDF-XChange Editor, we recommend you to learn some others like crop pages (Ctrl + Shift + T) or full screen mode (F11). Set the zoom level to 100% and show document pages at their actual size. Align text to the left. Make the selected text bold. Create a new scale for use with the measurement tools. Show/Hide the Document Info Bar. View document in full screen. Move the selected bookmark(s) down. Move the selected bookmark(s) up. PDF-XChange Editor is a PDF document editor developed by Tracker Software. It claims 85% of features can be used without paying for a license and remaining paid, advanced features are clearly identified. The Editor puts a watermark on output if used without a license. What is your favorite PDF-XChange Editor hotkey? Do you have any useful tips for program? Let other users know below.